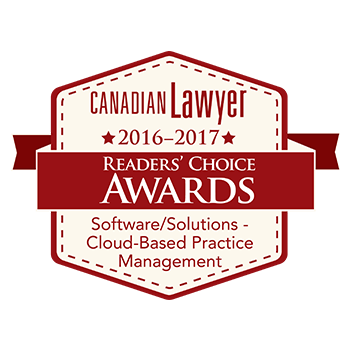 LexCloud.ca is proud to be once again recognized in the category of Cloud-Based Practice Management Software/Solutions for their product Cloud Desktop™, in Canadian Lawyer’s Annual Readers Choice Awards. Cloud Desktop from LexCloud.ca replaces the need for on-site IT with a solution that works every time, anywhere, on any device. It features industrial strength security, built-in business continuity and runs all legal applications. Cloud IT allows you to forgo capital expenditures on IT, and leave the upgrades and equipment costs to your provider. See the full results in the 2016 Canadian Lawyer’s digital supplement.